Who is Your Gout Mentor? You need a Gout Nurse! Who is Your Gout Mentor is aimed at all gout sufferers. Especially, those who want more help than they get from their doctor. Because I explain how to get structured, step-by-step help for your gout problems. Then I explain your choices when it comes to selecting a Gout Mentor. First, I will explain what a Gout Mentor is. What is a Gout Mentor? TL;DR? See Your Gout Mentor summary for a quick overview. If you are in a hurry, I recommend that you start with the Gout Mentor summary. Firstly, Gout Mentors know more about gout than you. Also, they want to help you learn about your gout. Finally, they want you to control your gout better. So, your best gout mentor is your doctor. But, the fact you are reading this gives a hint that you don’t get all the support you need. That’s OK. If you want, you can take the facts that you read on GoutPal. Then, go and ask your doctor about them. Personally, I think that is the best thing you can do. However, I can still help you, if you want more information than your doctor can give you. Your Gout Mentor can be your doctor, yourself, or GoutPal. But, your needs change from week to week. So, you can move between different mentors whenever you like. Because that gives you the type of help you need, whenever you need it. Next, let’s look at these 3 options in more detail. This choice of Gout Mentor is your doctor, or appropriate health professional. Recently, studies show that gout patients recover quicker when they have a mentor. So the best medical practices are employing nurses or similar Gout Mentors. Because help you understand gout and plan your recovery. Then, they support you during your treatment, helping you to keep gout recovery on track. Print pages from GoutPal, and discuss them with your doctor. This is especially important where my pages encourage you to discuss things with your Gout Mentor. You cannot control gout if you don’t understand it properly. You must discuss choices, or facts, that you don’t understand. Keep a notepad, smartphone, or whatever suits you, for taking personal notes. If your doctor mentions something that you don’t understand, search for it on GoutPal. There’s a search box near the top-right of every page. Is your doctor your choice of Gout Mentor? If so, start searching, or click interesting links, now. Use whatever note-taking style you prefer to organize GoutPal facts in a way that suits you. For some of my guidelines, I will suggest ways of organizing your notes. I do this where it’s helped other gout sufferers in similar situations to you. I’m currently organizing these notes to help you find them. They start at Questions for Gout Sufferers. Bookmark that page, and keep returning to it. Are you mentoring yourself as you learn about gout? If so, start with those gout sufferer questions, now. 3. 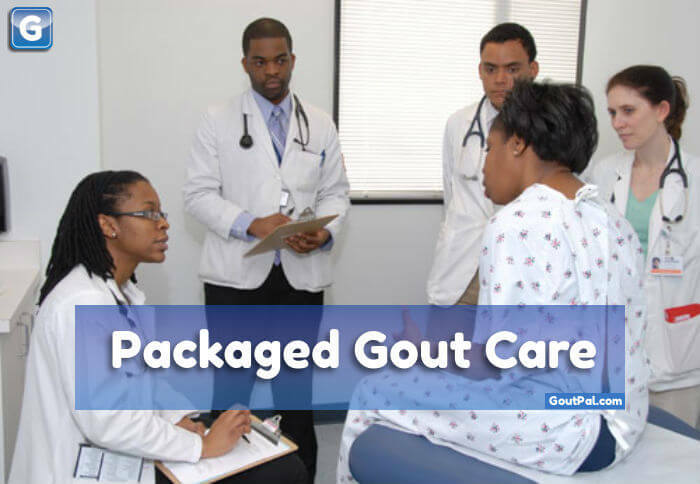 GoutPal Gout Learning Services. I can give you personal help based on true experiences of a fellow gout sufferer. Because this is a free public service. So you get your own gout nurse. But you will have to explain your situation so that I can provide care. Because gout nursing care must be provided on a personal basis. For casual questions, you can ask in the gout forum whenever you like. Also, you can soon have your own personal GoutPal Gout Diary to store your gout facts, test results, and other useful information. But I recommend structured and managed learning courses. Because these give you step-by-step plans and therapies to solve your specific gout problems. The rest of this page is for people who want a GoutPal Gout Mentor. If you choose either of the first two options, I recommend that you continue to browse this website as I suggested. Always remember to use the search box at the top-right of each page to find gout information that is relevant to you. If you change your mind, you can get a GoutPal Gout Mentor in future. You can ask for a mentor whenever you like. You can stop using my Gout Learning Services whenever you like. It’s your call. Who is Your Gout Mentor? You can choose 1 of 3 different Gout Mentors. If you cannot decide, ask for help. Ask for help in private, from your doctor, or other appropriate health professional. Ask for help in public, in the gout forum. If you opt for a GoutPal Gout Mentor, you can personal help whenever you like. If you do not understand GoutPal Mentoring Services, ask for help in the gout forum. Finally, if you haven’t left this page by now, you want a GoutPal Gout Mentor. So, to get a Mentor now, ask in the gout forum. Choose your mentor to help your gout. Tell your Gout Mentor when to help you out. Leave who is your Gout Mentor to read more about gout doctors. All gout studies referred to in this timeline are available on the Internet at the time of publication. So, you can find them using my Google Scholar or Full Internet Search Tools. GoutPal Members might download the reports from the links below. Spencer, Karen, Alison Carr, and Michael Doherty. “Patient and provider barriers to effective management of gout in general practice: a qualitative study”. Annals of the rheumatic diseases 71.9 (2012): 1490-1495. The need for Gout Care. Rees, Frances, Wendy Jenkins, and M. Doherty. “Patients with gout adhere to curative treatment if informed appropriately: proof-of-concept observational study”. Annals of the rheumatic diseases (2012): annrheumdis-2012. Package of Gout Care. Lioté, F., and H. Choi. “Managing gout needs more than drugs:’Il faut le savoir-faire, l’Art et la manure'”. Annals of the rheumatic diseases 72.6 (2013): 791. (It takes the know-how, the art, and the way). Managing gout needs more than drugs. Roddy, Edward, Weiya Zhang, and Michael Doherty. “Concordance of the management of chronic gout in a UK primary-care population with the EULAR gout recommendations”. Annals of the rheumatic diseases 66.10 (2007): 1311-1315. Suboptimum Gout Care UK. Abhishek, Abhishek, et al. “Long-term persistence and adherence on urate-lowering treatment can be maintained in primary care—5-year follow-up of a proof-of-concept study”. Rheumatology 56.4 (2017): 529-533. Gout Care Package After 5 Years. Aung, Thanda, Gihyun Myung, and John D. FitzGerald. “Treatment approaches and adherence to urate-lowering therapy for patients with gout”. Patient preference and adherence 11 (2017): 795. Gout Care and Education USA. Nuki, G., M. Doherty, and P. Richette. “Current management of gout: practical messages from 2016 EULAR guidelines”. Polish archives of internal medicine 127.4 (2017): 267. EULAR Gout Guidelines 2016 Update. 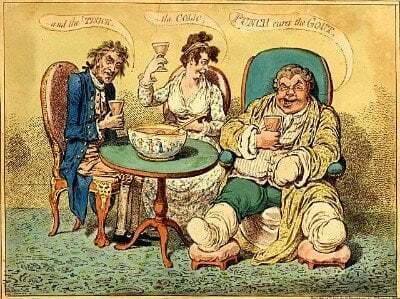 TL;DR - Who is Your Gout Mentor? You need a Gout Nurse! This page applies to all gout sufferers who need a Gout Mentor. Your best choice of Gout Mentor is Your Doctor. Your most private choice of Gout Mentor is Yourself. For free, public guidance and advice, choose GoutPal as your Gout Mentor. You decide how quickly you want to learn. You can get casual gout help at anytime. Just ask in GoutPal's Gout Forum.